Google Maps For Local Search Engine Optimization – How Can It Bring You More Customers? When you are working on SEO, you must try to look for different avenues to reach your target. And, if you are a local business attempting to rank high in search engines, it can get a bit competitive. Although it could certainly help your cause if you acquire relevant links to your site from all over the globe, it could be insignificant when in competition with the local sites that have been optimized masterfully, therefore, preventing you from reaching a high rank in the search engines. There are other ways for you to create a strong presence online and one of the ways includes investing in Google Maps. How can Google Maps help you bring more customers? If reports published by Google are to be believed, more than 90% of customers get their products from local business operations. Hence, it is essential for you to locally optimize your business. Statistics provided by Google state that over 50 percent of users that are on the lookout for retail stores utilize Google Maps to navigate their way to the stores while more than 70 percent of the consumers utilize location-based services to find their way. What are some of the effective Google Maps SEO practices for local purpose? First and foremost, you must use Google Local in order to seek optimum results and innumerable benefits. 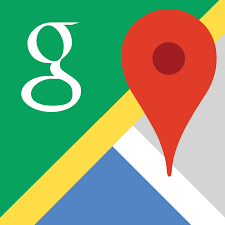 Google Local comprises of two main features—Google Places for Business and Local Google+ pages. So, how do they differ? Well, Google Places for Business focuses on ensuring that the target audience of your business has all the correct information on your business enterprise including contact information, address, opening hours, and contact information. On the other hand, Local Google + pages work effectively in helping you converse with your customers. And, when your customers can reach you easily and vice-versa, you will be able to respond to their queries, complaints, and suggestions etc. as soon as possible. And, when you provide them with a quick reply, it will assure the customers of your credibility as a reliable business organization, therefore, ensuring customer satisfaction and helping you get more exposure. When choosing categories for your business, you should ensure that your business specifically provides everything relevant to the category chosen. In order to ensure that your site ranks high in local Google maps searches, you must have reliable sites talking glowingly of your site. It also helps if you have plenty of reviews talking about your services; the more the reviews, the more the chances of your site ranking higher in the local search engine. Reports and statistics provided by Nielsen state that more than 90 percent of customers trust recommendations and reviews provided by third parties. Google gives a lot of emphasis on reviews provided by customers on third party reviews, and if your business site has plenty of positive remarks, you will feature in the Google search engine more noticeably. Google takes into consideration how many reviews you boast on third-party reviews such as YP.com, tripadvisor.com, and Yelp etc. Therefore, you must do whatever possible to persuade your customers into providing reviews on the third party sites. You can encourage them to do so by reminding them after purchases and letting them know how their reviews could make or break your business. When forming a business title, it is necessary for you to fill it with relevant keywords. However, we would advise you against cramming the title with keywords. In order to rank high, it is imperative that your site boasts of links from local sites. The goal here is to target the local market. However, it isn´t necessary for you to only get links that are relevant to your content and services. The objective here is to get local links to your site regardless of its relevance to your site or the product you offer. This will give credentials to your site and help your reach higher rankings in the local search engine. Another factor to review in order to bolster your rankings is to consider including your State and City to your site´s title on every page; this will undoubtedly help grab Google´s attention. Since there are many people that use Google Earth, you also shouldn´t miss out on the opportunity to lure them in. However, in order to entice them, you must first add a Google KML file and GEO Sitemap Notations. Please check our off-page SEO services which are very effective for boosting Google Maps.